The Samsung Galaxy Note FE (Fan Edition) is actually the Galaxy Note 7 but Samsung made sure it won't catch fire anymore but it doesn't mean it's free of problems and errors. With that said, I know a couple of users who have encountered having their Note FE's turned off completely and when they tried turning them on, they won't respond. Common knowledge would tell us that it's an issue with the hardware but in most cases, it's not. Remember that smartphones work because everything in it is working. Their hardware are ones we see most of the time and we overlook the fact that without the operating system, these small computers won't work either. With that being said, I believe that when the phone turns off by itself and refuses to respond, it's the system that has an issue and not the hardware. Press and hold the Volume Down and the Power keys together for 10 seconds or until the phone turns on. Connect the phone to its charger and leave it be for 5 minutes or so. 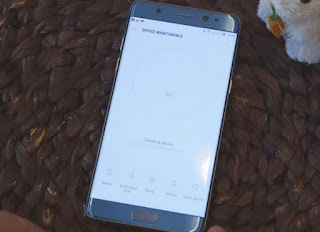 If your Samsung Galaxy Note FE is still not turning on after this, then it's time to visit a Samsung service center to have the device checked.